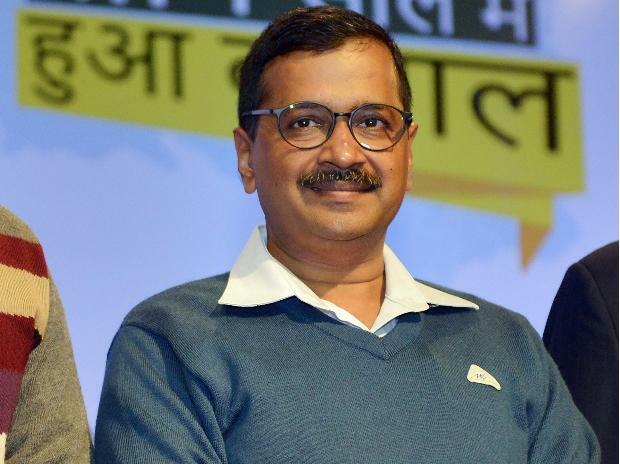 The Congress has refused to form an alliance with the Aam Aadmi Party in Delhi and the two parties are not in talks with each other, AAP national convenor and Delhi Chief Minister Arvind Kejriwal said Tuesday. Talking to reporters, he claimed media reports stating that talks between the AAP and the Congress had been finalised were planted by the grand old party. Kejriwal's comments came hours after the AAP made a fresh bid to forge an alliance with the Congress in Punjab, Haryana and Delhi, sources said. AAP leader Sanjay Singh also discussed the proposal with NCP president Sharad Pawar, the sources said. The AAP said seat sharing could be in the ratio of five seats for the Kejriwal-led party and two for the Congress in the national capital, they said. It proposed to contest on three seats in Punjab, two in Haryana and five in Delhi, the sources added. "It is up to the Congress that has to take the decision now. We have learnt that they are also willing to forge an alliance with the AAP in Delhi," they said. But soon after addressing a public meeting in East Delhi, Kejriwal said the Congress has refused to form an alliance with the AAP in Delhi and the two parties are not in talks with each other. AAP's Gopal Rai also said the party would kick-start its campaign on March 23 and it plans to organise 280 jan sabhas by April 30. The AAP has distributed its campaign in two phases. The first phase would take place from March 23 to April 7 and the second phase of campaigning would be held from April 8 to April 30. Under the first phase, Kejriwal would hold 35 jan sabhas.